COGNAC, A HISTORICAL PRODUCT OF EXCEPTION! The history is of wine that originated in the Cognac area is a long story! It started well before the era of Christianity, .......but let us simply begin in the 1st century! At this time, the wine production of Gaul is starting to compete with Italian wines; the Roman Emperor Domitian prohibits the planting of vines and orders the uprooting of 50% of Mediterranean vineyards. This ban is only lifted in the 3rd century by the Roman emperor Probus who restores the opportunity to grow vines and to make wine to the Gauls; this was a great privilege. Let us pass over the centuries during which the vineyards of Bordeaux, Rhone and Languedoc vines thrived and even reached the Paris region, which will long remain one of the major French wine regions. While continuing to develop the cultivation of wine, the Gallo-Romans improve their winemaking processes, although they already know the techniques for ageing wine in oak barrels. The decline of the Roman Empire in the 5th century is not a fatal blow to the development of agriculture since the Gallic Church continues to maintain its dioceses in the culture of vines and wine, and spread its marketing. The vineyards then developed smoothly throughout Europe, aided in this by the spreading of monastic orders. Christianity helps to enhance the value attached to wine, taking over from a Roman Empire that has been annihilated. Communion under both bread and wine, practiced until the 13th century, is one of the driving forces for maintaining the winemaking tradition. The expansion of the Christian civilization is the origin of the development of viticulture in the world. The real custodians of the quality of wine are the monks who perpetuated the tradition of winemaking. Under cover of producing sacramental wine they manage many monastic vineyards, some of which still exist today. At the end of the 10th century the only wine region not under the influence of the Church is the Bordeaux region which begins to grow and expands rapidly in the late 12th century. Throughout the middle Ages, France was the largest exporter of wine. The maritime wine trade acquires considerable economic importance on the western coast of Europe. The regions of Aunis and Saintonge send their wines mainly to Flanders and the countries of Northern Europe; the wines of Poitou, La Rochelle and Angoumois are much appreciated by the English, Dutch and Scandinavians. From the 13th century onwards the vineyards of Aunis and Saintonge produce such large quantities of wine that it becomes difficult to sell, especially as these wines, having a low degree of alcohol, tend to suffer from the long sea voyages. As from the 17th century, Dutch merchants use these wines to fuel their new wine distilleries. The wines thus become "burnt wine", i.e. “brandwijn”, the origin of the word "brandy". Under the impression that they are re-creating the original wine, the Dutch drink this beverage diluted with water. The first stills in the Charente originally installed by the Dutch, are gradually modified; the French master and improve the technique using the process of double distillation invented by the Chevalier de la Croix Marron. As a result of delays in shipments it becomes noticeable that wine spirits transported in oak barrels (from the Limousin region) improve with time and can be consumed neat. Double distillation develops and the wine spirits that are stored and improved in oak barrels create a business renowned in the area around the town of Cognac, which thus gave its name to the brandy. Consumer patterns change and Cognac is most often consumed neat. It is a brandy sought after for its quality, which is now far from its original substitute for wine! At the end of the 17th century, and especially from the 18th century, the market is organized and, in order to meet the demand, trading houses, or "Counters", are created, often of Anglo-Saxon origin. Some of these houses still exist today. Regular business relationships are forged with buyers in Holland, England, Europe, North America and the Far East. The 19th century sees the birth of many businesses – such as COGNAC J. NORMANDIN MERCIER founded in 1872 - that ships Cognac in casks and bottles; new industries develop, such as glass factories, packaging, the production of corks, as well as printing offices. It’s the time that the vineyard covers nearly 280,000 hectares. Around 1875 Phylloxera makes its appearance in the Charente. The name Phylloxera means both the disease of the vine and the name of the insect that causes the disease! The insect, phylloxera vastatrix, is a kind of aphid that devastates vines; its name comes from the Greek "phyllon": leaf, "xeros": sec, and the Latin "vastatrix": devastating. In 1893 it effectively destroys much of the vineyard, reducing it to 40,000 hectares. The efforts needed to restore the economy of the region are harsh. This drama is to give birth in 1888 to the Viticulture Committee, soon transformed into a Wine Station in 1892. In the 20th century, the vineyard gradually recovers thanks to the introduction of American rootstock that is immune to attacks of Phylloxera. But traditional grape varieties such as Colombard or Folle Blanche , weakened by grafting, are gradually replaced by Ugni Blanc which is stronger, currently used at over 90% for the production of Cognac. The geographical area of production of the six crus (Grande Champagne, Petite Champagne, Borderies, Fins Bois, Bons Bois, Bois Ordinaries) giving rise to Cognac is defined on 1 May 1909. In 1936, Cognac is recognized as an “Appélation d’Origine Contrôlée” (AOC). During the Second World War, a dispatch office for wines and spirits is created in order to preserve the stock of Cognac. After the Liberation, it is replaced by the “Bureau National Interprofessionnel” du Cognac, to which is attached the Viticole Station in 1948. All stages of the development of Cognac are now subjected to strict regulations designed to protect the product, the reputation of which is becoming more and more widely known. 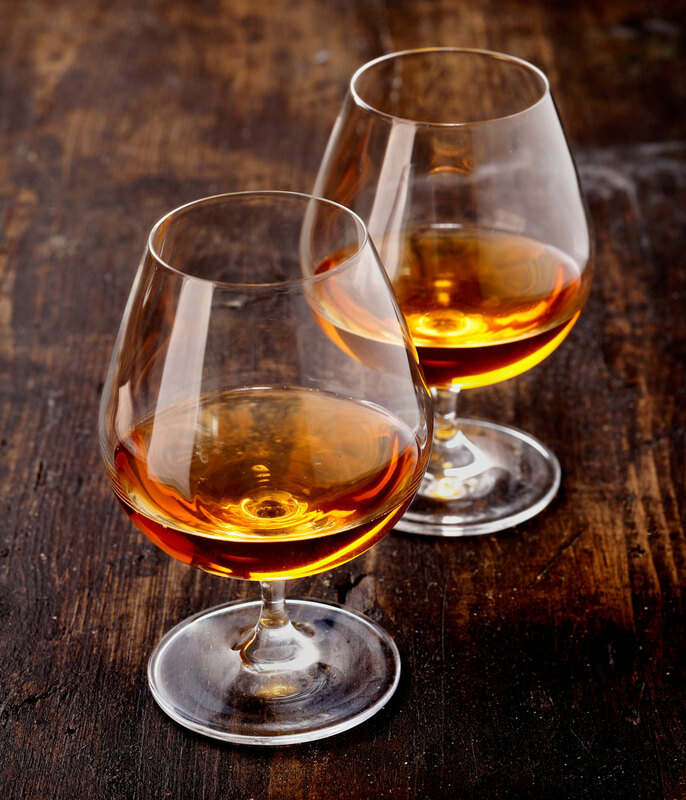 Cognac is currently exported to over 150 countries worldwide, which is significantly beneficial for export. Whatever way it is consumed, from the Far East to the American continent, as well as Europe, it remains a product of high quality, a symbol of France and the French art of living. But as a luxury item, the expansion of Cognac remains bound to the politico-economic context of the world and is accustomed to periods of crisis, followed by difficult times of euphoria, that are very difficult to control. The efforts of professionals have to stay as high as the quality of this incomparable and wonderful Brandy.